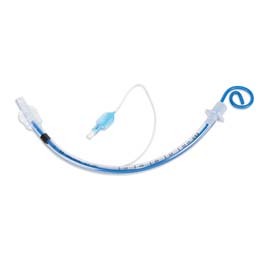 This set includes a quality endotracheal tube with an inserted stylet, saving time and storage space. The stylet has a low-friction coating to facilitate smooth withdrawal. It is designed with a soft distal tip to reduce the risk of trauma. The pilot balloon allows for tactile sense of cuff volume.